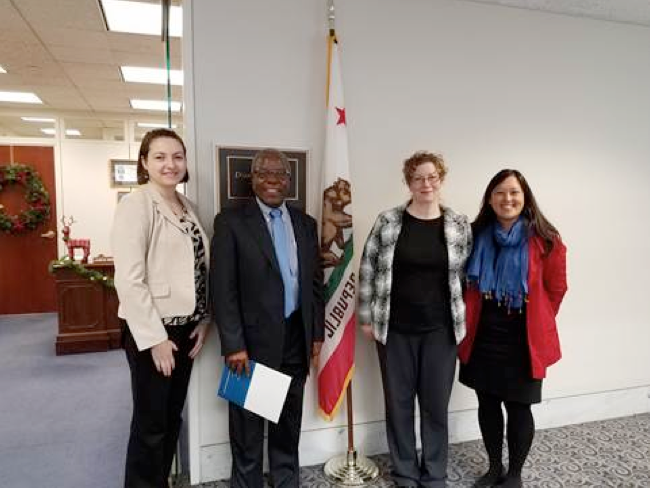 Professor Ronald Mataya traveled to Washington DC recently to work with Christian Connections for International Health (CCIH). CCIH is a consortium of organizations and individuals interested in how transformational Christian faith has a positive impact on international health. Dr. Mataya is one of 10 CCIH board members and an active participant in the organization’s activities. His recent trip was to lobby with senators about federal funding for global health programs. His personal message to senators, or their staff members, was to remind them of what faith-based organizations do, while they should be mindful that US funding contributes to a large portion of global health care. Some countries, such as Malawi, receive 40% of their health care budget from US based sources. He wanted to remind senators that a large cut in federal funding to faith-based international organizations would have a huge negative impact on the health of millions. The CCIH has many other political campaigns described on their website.